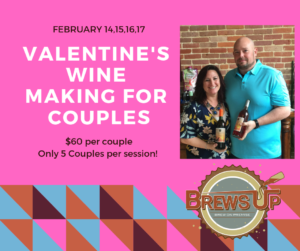 Valentine’s Wine Making for Couples! Looking for something fun to do with your honey for Valentine’s Weekend? Come to Snow Hill and make wine at Brews Up!